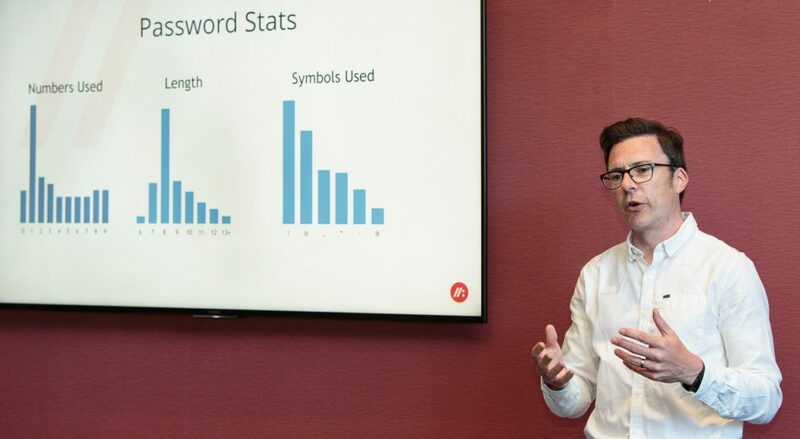 Gerry Grant, Chief Ethical Hacking Consultant at Curious Frank, explained how to maximise your cyber resilience, at the event held by St Andrews Business Club at The Old Course Hotel. How do you minimise the risk of having your business and life disrupted by a hacker or malicious software? Gerry Grant, Chief Ethical Hacking Consultant, at Curious Frank, explained how you can use simple precautions to minimise your risk. For more information about this subject, you should visit the Scottish Business Resilience Centre website.